As property prices rise, the topic of affordable housing becomes an increasing concern. Factor in the growth of the ageing population and you’ve got new variables to consider when planning anything from policies to finance, housing and infrastructure. To overlook these factors is to invite a slew of social issues. As such, it is more urgent than ever to bridge the healthcare-housing divide. In our previous article “Paying for Aged Care: The Trends & Challenges”, we discussed how the appropriate placement of seniors with the right level of care is essential to effectively managing the cost of long-term care. Whilst in “Paying For Aged Care: Can Malaysians Afford it?”, we’ve identified accessibility to care is a need regardless of lifestyle. Affordable housing is more than merely the ability to pay off the house loan. It’s also being able to meet long-term care costs – such as assisted daily living, rehab and medical care – when needed, apart from basic living needs like food, clothing and transportation. So the question is: how can housing for seniors be made an affordable affair? Malaysians have a cultural preference to age in one’s own home. We would rather remain in our communities with family, friends and neighbors for as long as possible during our old age. Yet many homes and communities lack key structural features that enables seniors to live there safely and independently. 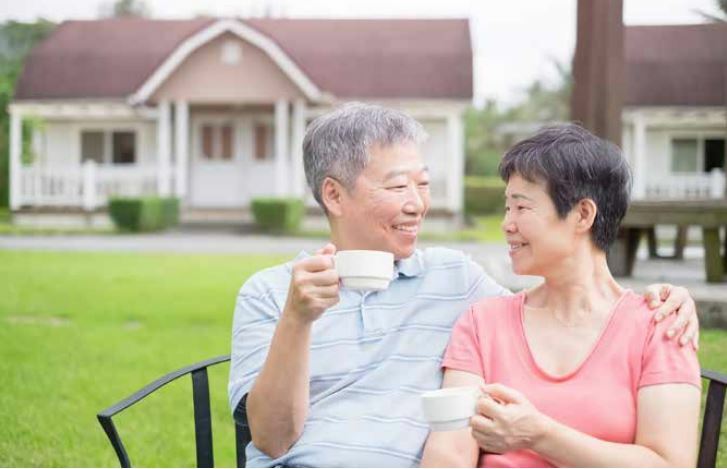 Meanwhile, family members often provide the backbone of the informal long-term care routine at home, becoming caregivers and financing the senior’s care. It costs no small amount to pay for long-term care services and support when the senior requires assistance with daily living tasks. Hence, while ageing-in-place is cost-effective, it is only so if the challenges in our care delivery’s efficiency – which naturally affects the cost – is addressed. To respond to these challenges and create affordable housing that supports seniors – and by extension their caregivers – we must more tightly link our nation’s housing and healthcare system under an integrated care model. An integrated care model for ageing-in-place is a concept much practiced in developed countries. The model integrates a network of formal home care and respite care services with day care centres, as well as nursing homes into the community – catering to moderate and severe needs alike. Continuum care is a chain of services provided seamlessly from the moment one needs care till he/she no longer requires it is. Embedding continuum care into communities would enable better utilisation of financial resources when households seek out care services, thus mitigating unnecessary spending arising from inappropriately allocation of care. In developed countries, day care centres are cost-effective alternatives to nursing homes. For example, Singapore builds many senior activity centres and care centres as part of their initiatives for ageing-in-place within the community. The regulators aim to develop a range of aged-care services in every neighborhood to meet the social and healthcare needs of seniors, as well as to support their caregivers. This would also allow families to remain in close contact with the seniors while they are being cared for within their community. As Malaysia is very much similar to Singapore, community-based day care centres would fit comfortably in our own integrated care model of aged-care facilities. Day care services would not only delay the need for entry into a nursing home or care centre, it is also a less costly route for seniors and their families to maintain their well-being if compared to home care – which can be more expensive due to the provision of personalized and skilled services at home. It’s a bonus that active seniors can enjoy social interactions with friends and neighbors, and learn new things to maintain positive mental and emotional health. In order to bring together a cohesive and comprehensive integrated care model while tightly linking our nation’s homes to the resulting network of continuum care, Malaysia’s stakeholders – public and private sectors alike – need to spur development of facilities, care services and new standards to uphold. There are some day care centres for seniors set up by the Malaysian Department of Social Welfare throughout the country, however, the number are still too low and insufficient to cater to our growing ageing population. More day care centres within the community need to be built and operated by non-governmental organisations and business from the private sector. Policy makers need to look into incentives for operators to set up more day care centres, while new standards for professional home care services – delivered by licensed home care operators – need to be designed in a manner that encourages provision of quality services at an affordable price. This would not only naturalise the use of these services by families as their first option, but also minimise the strain on limited government financial resources. We also need to look into developing financial mechanisms that encourage sustainability of families to continually participate in the continuum care cycle. Financial support from the family may not always be possible due to the shrinking size of Malaysian families and emigration of grown children, as well as the possibility that family members may run out of money. a compulsory long-term care insurance. Time waits for no man, so does ageing. The question is if Malaysians can meet ageing prepared and on our own terms. The context of affordable housing has changed and the demand for ageing population is significant. We want quality communities in which to age well and enjoy life, free from deprivation of basic human needs. If we wish to age in acceptable terms, improved collaborations and efforts between stakeholders, regulators and the private sector is not only necessary, progress also needs to hasten as the window to come up with an integrated system that better connects our housing and healthcare grows short.